Written by Jerome Braun, MA, LMFT. Recently, on my morning train commute to my office, a man in his mid-twenties sat next to me, pulled out his laptop, making several slow movements with his hand seemingly to brush off the dust from the top of his computer. He opened his laptop and began working. It was an ordinary moment in my daily commute. Twenty minutes into our shared commute, the young man gently closed his laptop. He intently looked at his computer, making several caring sweeps of his hand over the laptop. His tender movements were accompanied by an apparent intense intention. It caught my attention, and I recognized immediately that this moment beckoned the sacred, whether it registered sacred to him, I do not know. To me, I instantly perceived how he and his computer were clearly in sync meaningfully, maybe even experiencing a transcendent moment. The moment made me think of resonance—an attunement to those quotidian objects in life to which we relate yet transcending the seemingly ordinariness of the object in hand. The preeminent scholar, Mircea Eliade, developed a theory on hierophanies which he posited are moments when the sacred penetrates the profane in space and time. Eliade (1957/1959) expounded in The Sacred and the Profane: The Nature of Religion that our experience of the sacred and ordinary reality is two modes of being in the world, and hierophanies are the sacred breaking through to mundane reality. Hierophanies are not a unilateral revelatory action initiated from the sacred, according to Eliade, but are collaborative events between the sacred and profane worlds. Moreover, Eliade explained that the sacred and the profane cross at an imago. Perhaps an ordinary laptop is not just a computer to my seatmate on that everyday commute to the office, but the imago of his resonance with the computer, and all that the computer represents to him is like the sacred tree or transcendent stone which brings to light that which is beyond the ego—a moment of sacredness. Resonance is counterpoised by dissonance. Fundamental to Jungian psychology, consciously holding the opposites is a psychological approach to transcend a polarity. In Jungian analysis resonance is highly valued; however, its opposite—dissonance—is also valued for the process of individuation. 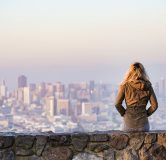 The analyst’s misattunement with the analysand can bring emotional distancing in the analytic relationship; however, the uncomfortable tension and displeasure of dissonance play an essential role in analysis. Psychologically holding the opposite poles of the sacred and profane pertains to Jung’s theory of the “transcendent function.” He stressed that the concept of the transcendent function did not imply a metaphysical quality but was a psychological function that “facilitates a transition from one attitude to another (Jung, 1920/1971, CW 6, §828; 1960/1981, CW 8, §131-193). Jung described the transcendent function as a mediatory product that is superior to both ends of the opposites: thesis—antithesis (1920/1971, CW 6, §826). What vantage point transcends the two poles of an imago, an archetype, or feelings which contradict themselves? I would like to suggest that the transcending bridge is the “inner witness” or the most subjective core within each of us which experiences and apperceives each waking and sleeping moment. This innermost subjective vantage point, which experiences from within, acts as a nonattached transcendent function to one side or other of the polarity. Borrowing for the moment, concepts from the Asian symbol OM may add to this query of what transcends the opposites. OM is an imago which has survived millennia in Asian philosophies and religions and exemplifies ideas about the transcendent function. OM is a living symbol, imago, and religious concept, arising as a whole and transcending the composite of all its separate parts. 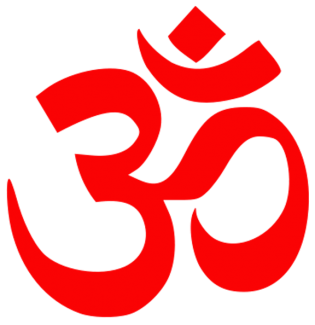 Upon first glance, the monosyllable OM seems merely to be a salutation to the Hindu gods and goddesses of old—the opening and closing salute in Hindu prayer. Yet, this simple two-letter word predates Vedic Times (1400 B.C.E), flourishing throughout humanity’s history and integral to present-day lives of Hindus (OM, AUM or Pravaṇa), Buddhists (Om mani padme hum), Sikhs (Ek Onkar) and followers of Jainism (o3m). All too simply stated, OM is a potent sacred sound to aid in renunciation of all that is profane which inhibits spiritual liberation. Paradoxically, OM is also the sacred sound which embraces all that exists, including the profane. In Patanjali and Yoga, Eliade (1975, 134) explained that yogic practices include the auditory phenomena to transcend this ordinary human state. Yogic scriptures advise listening to sounds—to differentiate the violent sounds (such as the ocean, waterfalls, or thunder) from fine sounds (such as music) to discern all the way to the level of no-sound. Sanskrit depicts the OM as three partial circles (see above picture): one upper, one lower, and one attached to the lower circle to the right. Also in the Sanskrit letter of OM are an upward curved partial circle and a dot. The lower partial circle symbolizes the waking state. The attached circle to the right is for the dream state, and the upper partial circle represents the state of sleep without dreams or consciousness of the “I.” The upward curve floating above the lower three partial circles symbolizes the ignorance that blocks from knowing the Self. And the dot is symbolic of the supreme Self—Brahman. The combination of these parts of OM, however, forms a fourth—the indivisible Whole, the All, Brahman, or God. This philosophical concept of the three-in-one commonly appears throughout Asian traditions. Regarded from a profane perspective in Jungian analysis, the symbol OM reminds us of the parts of the analysand which form her/his whole self: ego-consciousness of the quotidian reality, the dream-ego and its states, the unconscious and finally that which is at the innermost subjective center of all the individual’s emotional, thought, intuitive and sensate states of mind—the “I.” OM can help remind us analysts to hold the whole of the person sitting in session with us while considering the parts and complexes which make up the whole of the analysand’s reality. The vantage point of OM transcends both the sacred and profane—the ego-Self axis. The nonreligious seeker of individuation who endeavors to know her/himself may benefit from the wisdom of the symbol OM by studying its psychological conceptualizations as markers to her/his own direct experience of transcending the sacred and profane. As well, the spiritual-seeker who practices turning the sound of consciousness—OM—around to apperceive his/her innermost center of consciousness to transcend the opposites of the profane world may espouse this sacred symbol of OM by speaking it in prayer, repeating it as mantra, or breathing consciously in rhythm to the resonance and dissonance which is transcended by OM. In the end, I still am wondering about my seatmate on the mutual train commute to San Francisco. Was it just an ordinary moment of intently removing the dust and markings from the top of his laptop, or were we both experiencing a momentary breakthrough of the sacred—a virtual hierophany? Perhaps both. Eliade, M. (1957/1959). The Sacred and the Profane: The Nature of Religion. New York: A Harvest Book; Harcourt, Brace & World, Inc.
Eliade, M. (1975). Patanjali and Yoga. New York: Schocken Books. Jung, C.G. (1920/1971). CW 6: Psychological Types. Princeton: Princeton University Press. ———— (1960/1981). CW8: The Structure and Dynamics of the Psyche. 2nd edition. Princeton: Princeton University Press.